Tuesday Two Hundred: Better Move Fast! 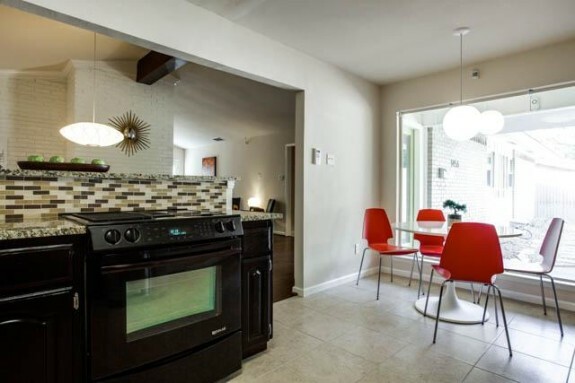 This Adorable Mid-Mod in Crestview East Won't Be on The Market Long! I just love this house. Wait, that sentence doesn’t really convey how I feel about this home, so let me try again. I just LOOOOOOOOOOOOVE this house. Why am I so in love with this house? 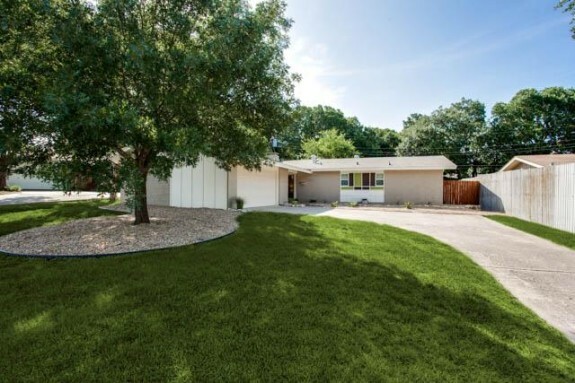 Well, for starters, it’s an adorable remodeled mid-century modern in a fabulous little neighborhood in East Dallas. Just around the bend from Alger Park/Ash Creek is Crestview East, which is on the cusp of experiencing some serious appreciation. 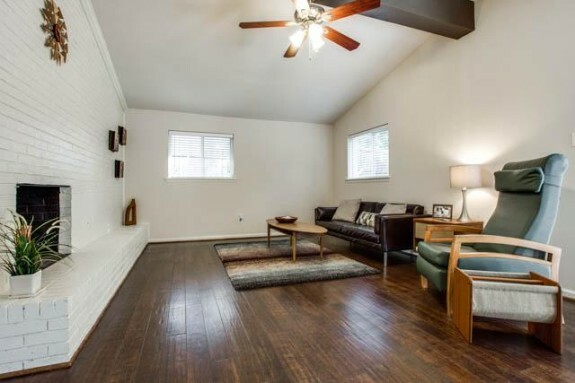 That makes 1456 Oates an amazing investment considering that this three-bedroom, two-bath home with a two-car garage is priced at just $213,000. 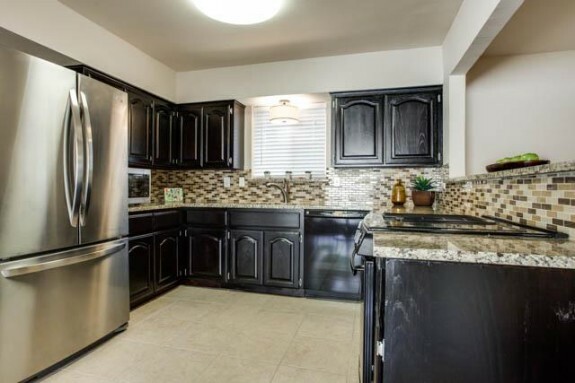 With more than 1,600 square feet, this house is an excellent size for a young family. Also consider that this home is situated just across the street from what will become a high-end green home development that will definitely increase property values. 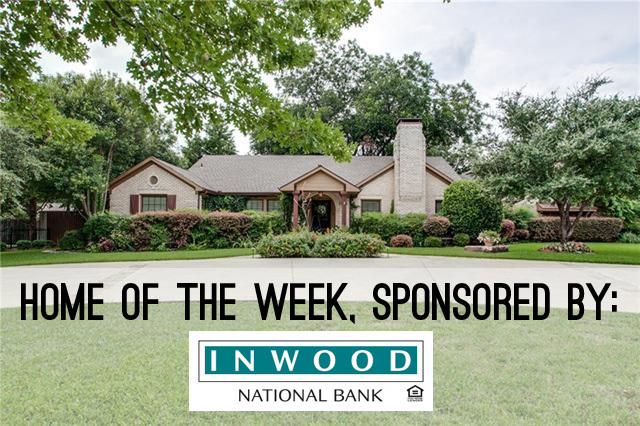 The neighborhood is both private and accessible as it’s sandwiched on a neat little street between Buckner Boulevard and Peavy Road. If you plan on sending your kids to White Rock Montessori, this house is an excellent choice considering that it’s close enough to walk your charges to in the morning, but not too close to have to deal with drop-off/pick-up traffic. You’re also within walking distance of Bishop Lynch Catholic High School, a fantastic private school option, too. 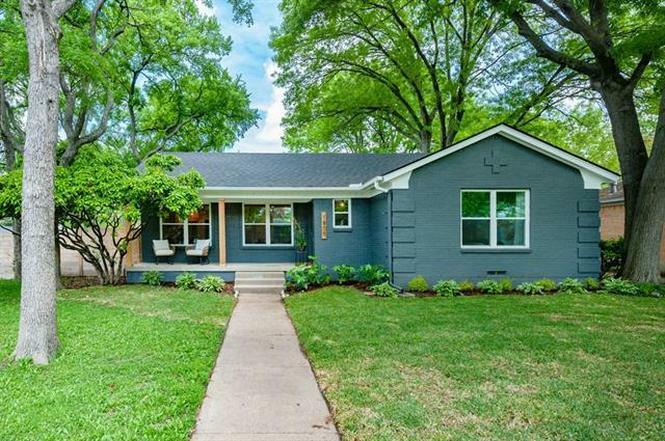 Close to White Rock Lake and just scads of other amenities, you really can’t beat such an adorable home at such a great price. Also, get a load of all the upgrades and character! 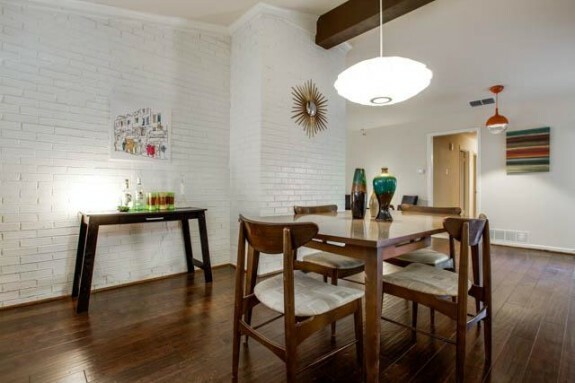 The beamed ceilings and brand new hardwood floors really set off the fireplace and light fixtures, which include a very Mad Men-esque George Nelson Bubble Lamp. 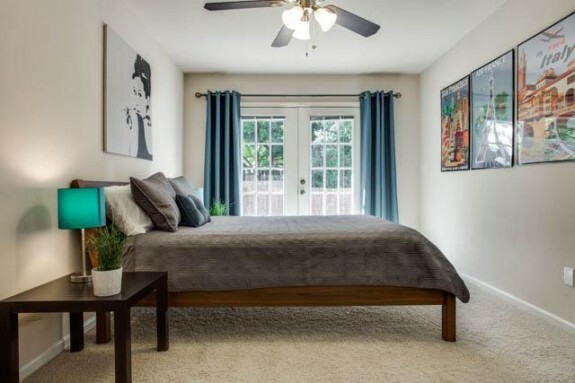 The Master suite is just beautiful, with French doors that lead to the backyard. I just wish it was a couple of feet wider, which would definitely help the flow of this room. Still, with the muted color palette, it’s a great little retreat. 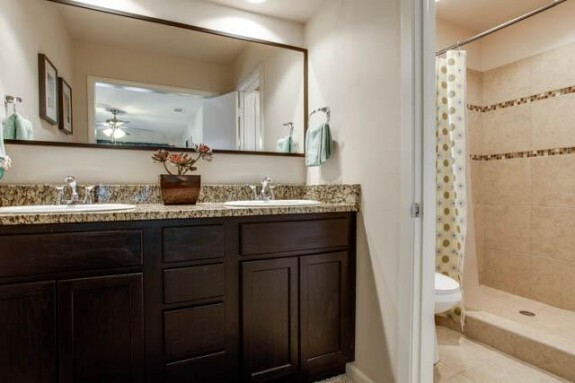 The master bath has received a facelift, too, which features brand new cabinetry and counters, and a gorgeous shower with mosaic tile accents. If it were me, I’d think about putting in a glass bypass door in the shower, maybe even a frameless one. The second bath has been updated, too, with a furniture-quality vanity. 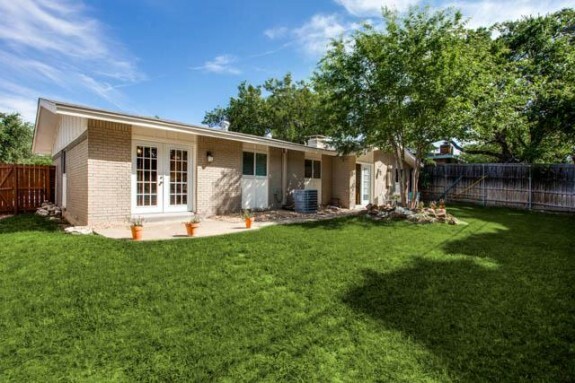 The backyard is a blank slate, too, with a good-sized concrete patio and a huge lawn. You could really do anything back here, but I’d suggest adding a pergola and maybe an outdoor kitchen, which would make this backyard perfect for entertaining.